This Veterans Home Was A Peaceful Place For Healing. Then A Former Patient Returned With A Rifle. Former Army infantryman Albert Wong killed three clinicians, one of whom was pregnant, and himself Friday at the Pathway Home's facility in Yountville, California. The war veterans chosen for rehabilitation are carefully selected at The Pathway Home, somewhere at the intersection of significant need and a willingness to get better. The few selected must want to be there. Former Army infantryman Albert Wong, before he killed three clinicians, one of whom was pregnant, and himself Friday at the Pathway Home's facility in Yountville, California, was not doing as well as his fellow veterans seeking care for issues like post-traumatic stress disorder. "Apparently he was given numerous chances," California state Sen. Bill Dodd, D, told The Washington Post on Saturday. Wong, 36, a veteran of the war in Afghanistan, was told to leave the program two weeks ago, Dodd said. Yet Wong returned. He arrived Friday morning armed with at least one rifle during a farewell party at the nonprofit organization, which reintegrates veterans into civilian life. Larry Kamer told the Associated Press that his wife, staffer Devereaux Smith, called and said Wong entered the room quietly and allowed some people to leave, including her. A Napa Valley Sheriff deputy arrived before 10:30 a.m. local time and exchanged gunfire with Wong. "Many bullets were fired," Sheriff John Robertson said in a briefing Friday, which authorities believed forced Wong into a single room at the Pathway facility with three women: Christine Loeber, 48; Jennifer Golick, 42; and Jennifer Gonzales, 29. And then nothing. Teams of federal, state and local law enforcement officials and hostage negotiators from three agencies had been unable to make contact with Wong through his cellphone or the captives at the Pathway Home, the red-tiled stucco live-in residency on the sprawling campus of the Veterans Home of California, the largest of its kind in the country. "There is zero knowledge about what was going on inside," California Highway Patrol spokesman Robert Nacke told The Post. "Everything was isolated to one room." A team of police stormed the room at about 6 p.m. local time to find the bodies of the three women and the gunman. The AP reported Gonzales was seven months pregnant and was traveling to Washington, D.C., this weekend to celebrate her one-year wedding anniversary. It is unknown when they were killed. It was "far too early to say if they were chosen at random," California Highway Patrol assistant chief Chris Childs said. "We are deeply saddened by the tragic situation in Yountville and mourn the loss of three incredible women who cared for our Veterans," President Donald Trump said in a Saturday post on Twitter. Department of Veterans Affairs Secretary David Shulkin also added condolences late Friday night. "We are deeply saddened and affected by the tragic outcome of the hostage situation at the Veterans Home of California in Yountville and extend our deepest condolences to the loved ones involved," Shulkin said. California Gov. Jerry Brown, D, ordered flags flown at half-staff at the capitol in memory of the victims. Loeber was the executive director of The Pathway Home, and Golick was a clinical director there. Gonzales was a clinical psychologist with the San Francisco VA Health Care System, a veterans hospital that works closely with the organization. "The three women that were lost yesterday dedicated their lives to serving veterans. They will be sorely, sorely missed on a professional level, and even more on a personal level," Yountville mayor John Dunbar told reporters Saturday. "We also lost one of our heroes who clearly had demons that resulted in the terrible tragedy," he added, referring to Wong. At least one and possibly all the women knew Wong, Napa County Sheriff's Capt. Steve Blower said, according to the Press Democrat. Dodd said all three were probably involved at some level in the decision to remove him from the program, though it was not immediately clear why he was removed. "This guy was a pretty troubled guy. He needed more help than what the program could do," Dodd said, whose district includes the Veterans Home campus. Wong served in Afghanistan from 2011 to 2012 as an infantryman, according to Army records obtained by The Post. He ended three years active duty in 2013 with a standard set of awards for his rank as a specialist. Experts cautioned at drawing conclusions simply linking present-day violence with wartime trauma, a common refrain with roots in media portrayals of Vietnam veterans as dangerously unstable. "It's just not true that veterans suffering from post-traumatic stress pose a greater risk of violence than do civilians without military experience," said Kori Schake, the deputy-director general of the International Institute of Strategic Studies, a U.K.-based think tank. Schake said veterans with post-traumatic stress do have a somewhat higher incidence of violence risk factors like mental illnesses and substance abuse than the general population. But, she added, veterans do not pose any more danger of violence than nonveterans with similar risk factors. VA has also warned against linking post-traumatic stress among Iraq and Afghanistan veterans and violent behavior. 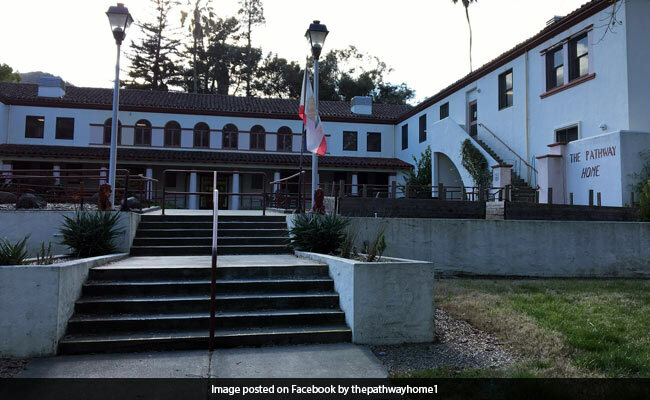 The Pathway Home occupies part of the massive Veterans Home campus, residency to 1,000 elderly or disabled veterans, according to the California state VA department. The organization opened in 2008 to work with male soldiers returning home from the wars in Iraq and Afghanistan, the organization's website says. It has helped 450 veterans since then, in small groups slightly larger than a dozen veterans faced with the residual effects of post-traumatic stress disorder, traumatic brain injury, substance abuse and other issues hampering adjustment to civilian life. "Nobody helps them understand that when they get back they have to reprogram their nervous system to operate at a different caliber so they can be successful civilians," Loeber told the San Francisco Chronicle in a November profile. The Pathway Home refocused its efforts in 2016 to accommodate veterans in college, the organization said on its website. A spokesperson could not be reached. Dodd said he expects Napa Valley to support the organization. 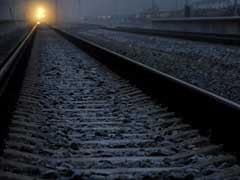 "Any time after something like this there are lessons learned. Certainly veterans are concerned," he said. "They were a big part of our community," he added, referring to Loeber, Golick and Gonzales. "Our community is solidly behind Pathway." California VA spokeswoman June Iljana said counselors from the agency would be on hand Saturday to provide resources to veterans and staffers involved in the incident. The investigation is still ongoing, authorities said, but they have finished processing the scene. Nacke said he did not have information on reports of body armor and the type of rifle that circulated in witness reports. He did not say how Wong acquired his weapon or weapons. A SWAT team searched a car near the scene determined to be a vehicle rented by Wong. Police only found a cellphone in the car, Nacke said. He did not know if the phone was the same police used in vain to contact Wong.